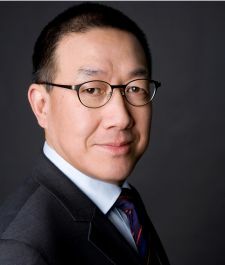 Chien Ming Cheng, the current head of the ethylene propylene diene monomer (EPDM) business line of Lanxess’ Technical Rubber Products business unit, has been appointed as CEO of Lanxess Greater China. The current CEO, Martin Kraemer, will take over leadership of the newly formed business line Benzyl Products and Inorganic Acids within the business unit Advanced Industrial Intermediates (AII). He had taken over the position of CEO Greater China in January 2009. All changes will take effect on February 1, 2013. “Martin Kraemer has done an excellent job in driving Greater China as a growth engine for Lanxess. Under his leadership, we have achieved significant growth and implemented various large-scale investments. I am convinced that he will also drive growth in the newly established business line Benzyl Products and Inorganic Acids.” Said Dr Axel Heitmann, Chairman of Lanxess AG. “Chien Ming Cheng is ideally suited to bring further value to our Greater China organization. Not only does he have a Chinese and yet international background – he has also the proven ability to manage large scale organizations which he showed in his position as COO of Lanxess Elastomers. Also, the increased importance of EPDM rubber for Lanxess’ operations in Greater China makes him an ideal candidate for this position. I wish both gentlemen success in their new positions.” He added. Lanxess will, as of January 1, 2013, expand its existing portfolio of 13 business units to 14. Technical Rubber Products (TRP) business unit will be split in two. Keltan Elastomers (KEL) will become a standalone business unit covering solely EPDM. It will be headed by Guenther Weymans, the current head of TRP. Besides EPDM, TRP’s portfolio includes polychloroprene rubber, hydrogenated nitrile rubber, ethylene vinyl acetate rubbers and nitrile rubber. These products will now be part of another standalone business unit called High Performance Elastomers (HPE) headed by Jan Paul de Vries.